Tube Elbows is available in several grades and specification of threading and pressure ratings to suit the requirements of varied industry applications. These Tube Elbows have close tolerances, excellent finishes and provide zero leak and torque-free seal. 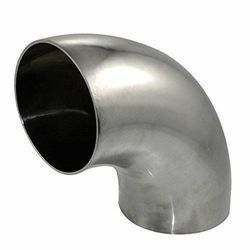 Our Elbow Tube Elbows range comes in long and short radius and can be customized as per the specification of clients. Specifications: Can offer Pipe Elbows, Joints Couplings as forged, normalized, annealed, quenched (hardened) tempered condition with black or bright finish. We offer a comprehensive range of Male Elbow that is widely demanded in several petrochemical and chemical industries. We manufacture these Male Elbows using qualitative grade of raw material that is soured from our most reliable vendors. We export these Male Elbows in various countries across the globe. We have gained immense recognition among clients by providing an excellent quality array of Tube Elbow. Our range is manufactured using graded materials to make sure it is corrosion resistant and durable in nature. This elbow is widely finds its applications in various industrial sectors. Male elbow fitting is used to connect fractional tube to female tapered pipe thread. It provides an angled change in the direction of a tubing run. 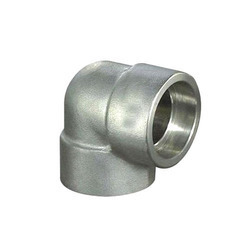 We provide a wide range of materials in male elbow tube fitting like - stainless steel, copper steel, bronze. The attached table represent the sizes and dimensions of our tube fittings. Carbon Steel Elbow Available with us in all the size.